Plot: Two mutants come to a private academy whose resident superhero team must oppose a terrorist organization with similar powers. 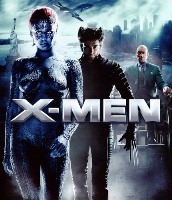 Cast: Patrick Stewart, Hugh Jackman, Ian McKellen, Halle Berry, Anna Paquin. Directed by Bryan Singer. Format: DVD (2 disc set) 134 min. 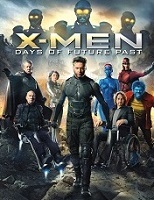 Plot: The X-Men band together to find a mutant assassin; meanwhile the Mutant Academy is attacked by military forces. Cast: Patrick Stewart, Hugh Jackman, Ian Mckellen, Halle Berry. Directed by Bryan Singer. Cast: James McAvoy, Michael Fassbender, Jennifer Lawrence. Directed by Bryan Singer. Plot: The X-Men send Wolverine to the past in a desperate effort to change history. Cast: Hugh Jackman, Michael Fassbender, James McAvoy, Halle Berry, Jennifer Lawrence. Directed by Bryan Singer. Plot: The United States government enlists the help of superhuman Mutants to stop a dictator from starting world war III. Cast: James McAvoy, Michael Fassbender, Rose Byrne, Jennifer Lawrence. Directed by Matthew Vaughn.